The Lafayette Theatre, named for the Revolutionary War hero the Marquis de Lafayette, was designed by architect Eugene DeRosa and it’s construction completed in 1924. Originally, it was equipped with a custom-designed Muller organ to accompany silent films and live performances. The silent film “Scaramouche” directed by Rex Ingram was the first to grace it’s screen. At that time tickets cost 25 cents. 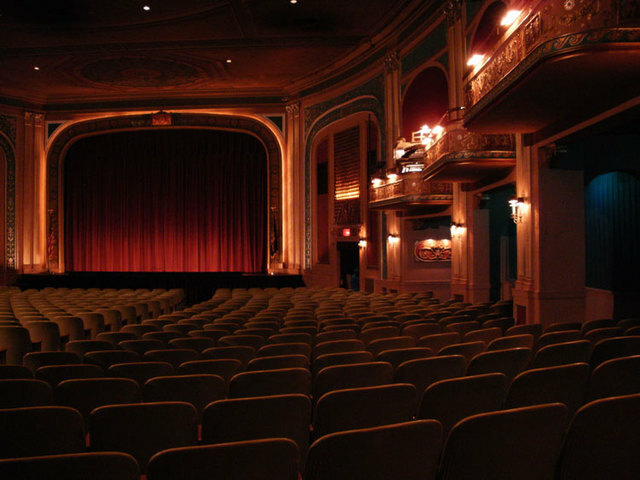 The theater became home to live vaudeville shows and film presentations and has since remained a single screen movie theater. In the late 1980s, the old stage was redone and the New York Theatre Organ Society installed a new organ, the Ben Hall Memorial Mighty Wurlitzer. In the late-1990’s, the Lafayette’s future as a single-screen neighborhood movie palace was uncertain until the our family stepped in. Robert Benmosche, a resident of Suffern and Chairman and CEO of MetLife at the time, saw the potential of the Lafayette Theatre and purchased the building. Immediate repairs to the roof and mechanical systems were completed in order to prevent any more serious damage from occurring. Since then, we have invested in restoring the ornate ceilings, opera boxes, and an exterior facade renovation. In July 2013, we went from Landlord to Tenant and took over operation of the movie theatre. We believe that maintaining this historical gem is about bringing the community together. The theater remains open and welcomes guests with first run films, classic films and other live performances.